His unique parenting style will have you laughing and appreciating his creativity! Any dad will tell you being a father can be such a drag. Hey, there's nothing we can do about it so might as well have some fun while teaching the kids life lessons, right? This is exactly what one dad, Blake Wilson a.k.a. BatDad did, and his unique parenting style will have you laughing and appreciating his creativity. Yes. Dress up like Batman, act like Batman, and do some parenting in his paos voice. Win. Seriously, it's guys like our man Blake who shows us parenting can be fun. The video you just saw is among his latest creations—Blake has been at it for over a year now and he's actually a sort of Internet celebrity (his must-see YouTube videos regularly score a huge amount of views). Now we're waiting for someone to do Superman or Joker! 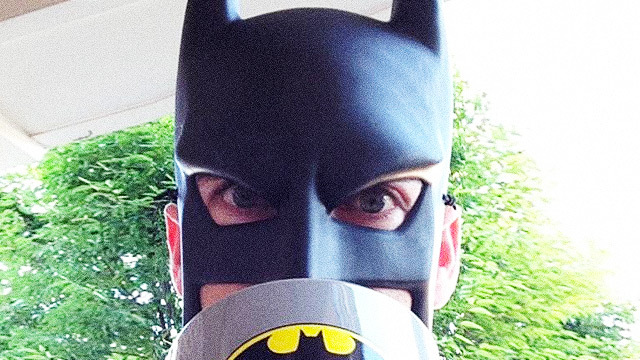 To watch more of BatDad's videos, click here.